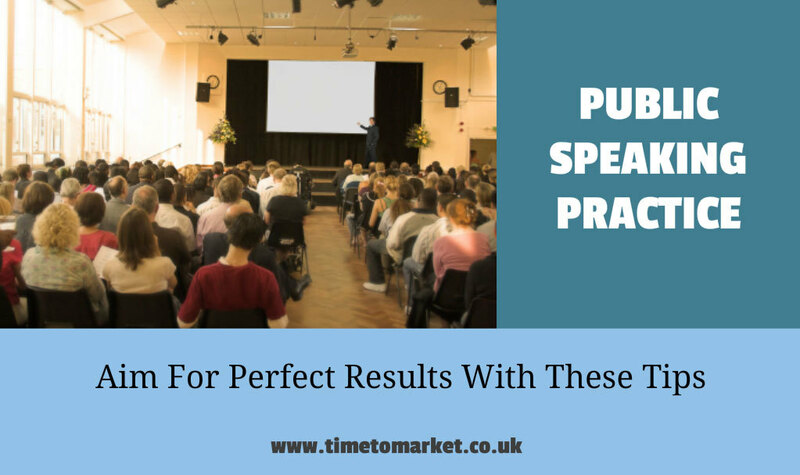 We’ve collated a selection of tips for public speaking from the PresentPerfectTM public speaking training courses and seminars. We run these courses throughout the UK at more than 40 public training centres. So you are never that far from one. If the scheduled times and places of our courses don’t suit your calendar, then you can always arrange a corporate training day at your offices. 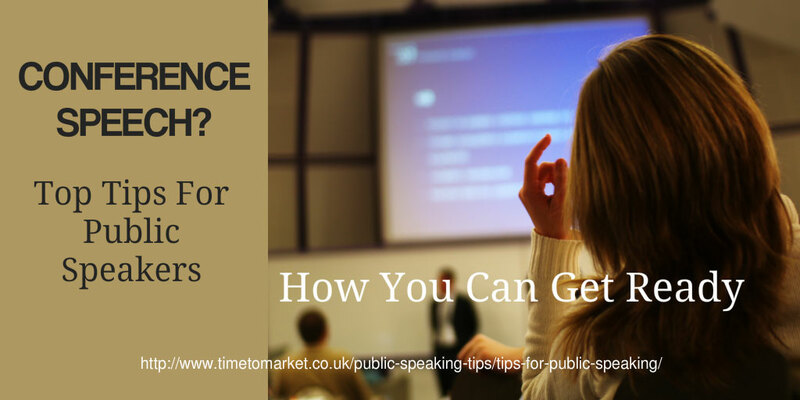 Each one of these public speaking tips aims to give you the skills and confidence you need to be an effective public speaker. As an alternative, you can discover more public speaking skills tips and advice when you join a training day. So, you have accepted the offer to give a conference speech. Well done. 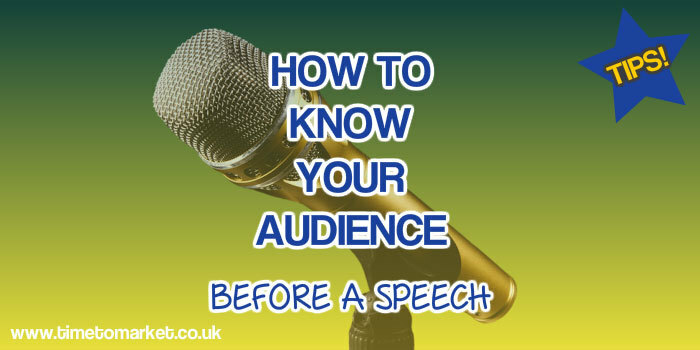 Now it’s time for you to crack on with the serious work and get to know your audience before your speech. All of your research work at this early stage will be vital for your finished speech. It’s most definitely the Awards season in the music, film and entertainment business. So we can expect some tearful and befuddled acceptance speeches among the real gems. But there’s every chance that you will need to give an acceptance speech at some time. 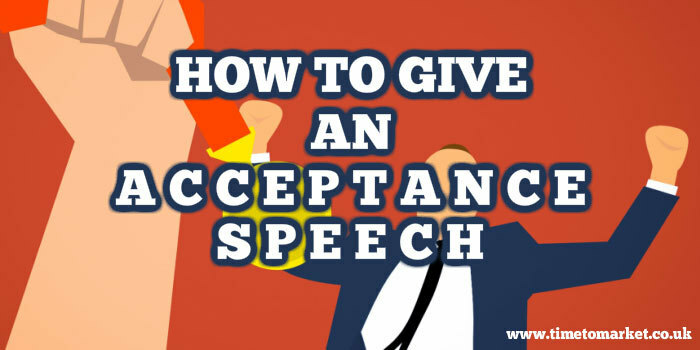 So we’ve prepared some tips for how to give an acceptance speech. It’s an important speech so you should be prepared for it. 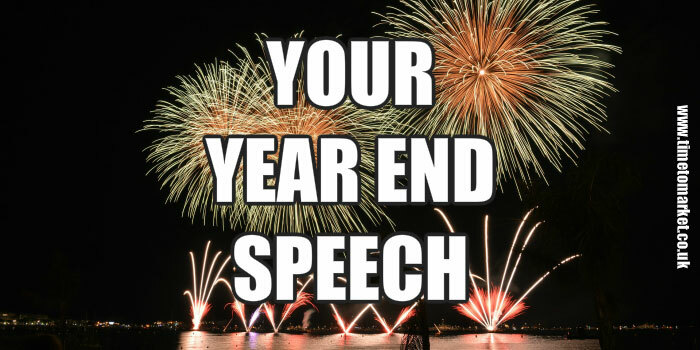 At this time of year, you’ve probably sorted your office party speech. But there is the small matter of how to give your year end speech. It’s definitely an important speech since it helps you and your management team to set the mood for next year. 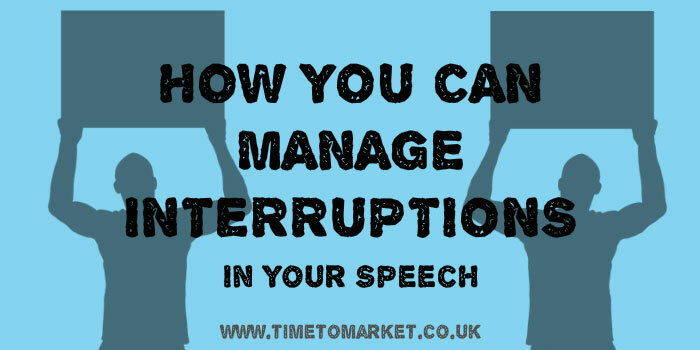 You should aim to learn how you can manage interruptions as you give a speech. 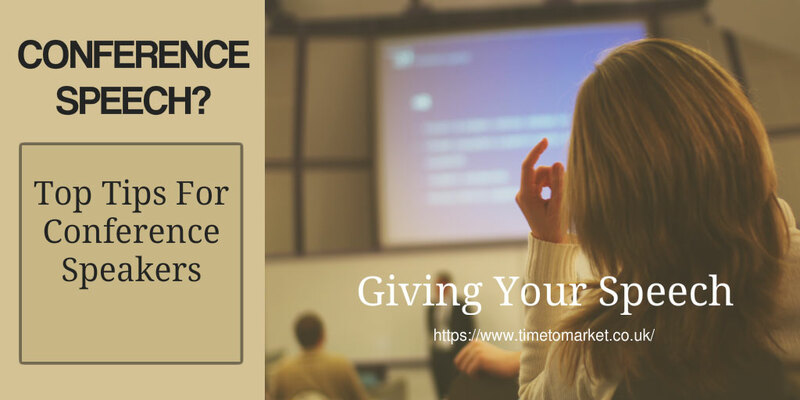 No matter that these are heckles, questions from your audience or other interruptions, there are techniques that you can usefully use. 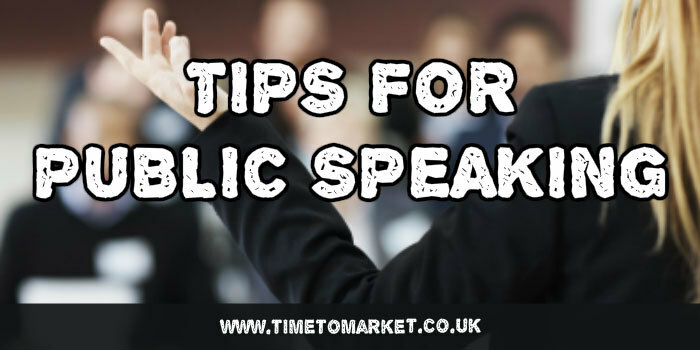 So, these tips for public speaking show you how. There’s always some anxiety about answering questions after your speech. Typically that anxiety is misplaced. These tips should help you get ready for a question and answer session. So, it’s the day of your conference speech. You are practised and rehearsed, but there are still one or two things to check over. 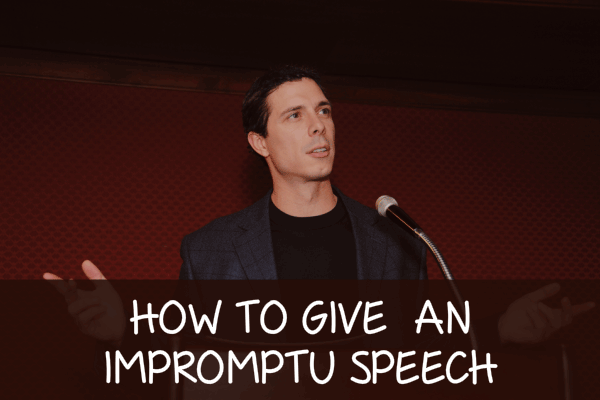 These tips should help you giving your conference speech. How should you get ready for a conference speech? This public speaking tip gives you five pointers so that you can be ready for your next conference speech. Can your speech’s title attract an audience? It’s a YES. 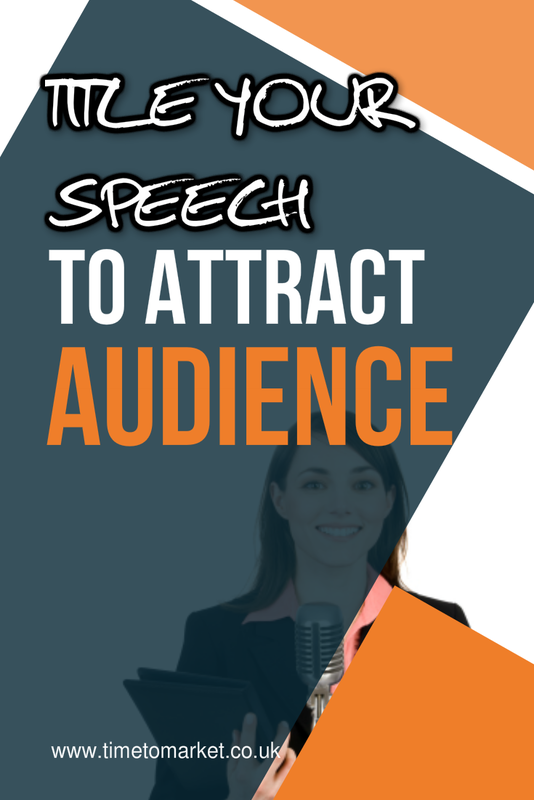 Your speech title can attract an audience if it suggests value, significance and benefit for your audience. So, here are some pointers for you to make the most of your speech title. When it comes to being an effective public speaker so much of your success will come down to your delivery. 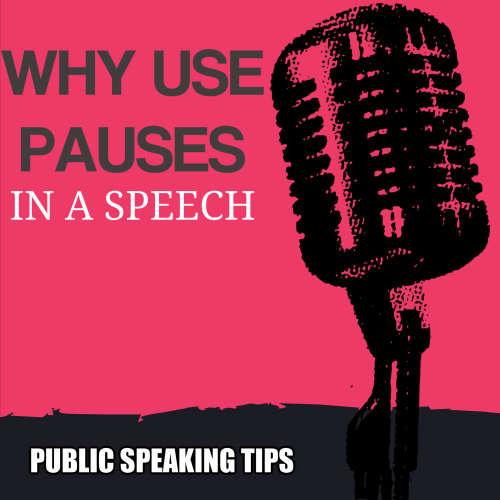 So in this public speaking tip we look at the reasons why it’s best to use pauses in your speech. 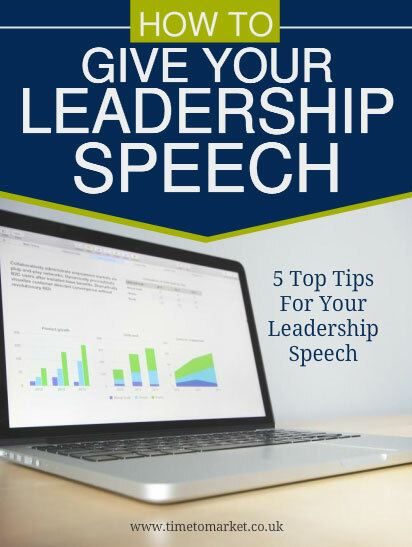 With the office party speech just a distant memory, now is the time finally for your New Year leadership speech in the office, the conference room or the boardroom. So, here are a few public speaking tips to prepare you for your big leadership speech. 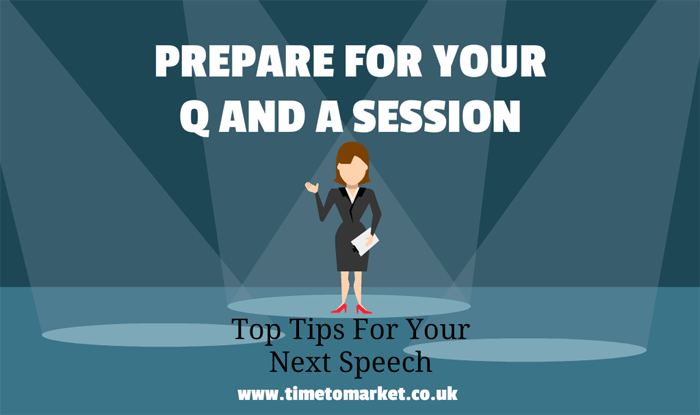 3 top public speaking tips from the Time to Market course showing you how to give an impromptu speech. Because there really is a lot more to giving an impromptu, off-the-cuff speech than perhaps you realised. A commitment to public speaking practice is essential when you want to become an accomplished speaker. Because practice makes perfect when it comes to giving a speech that meets all your needs, every time.